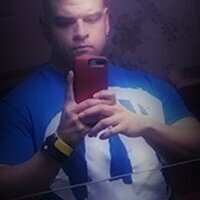 BlenderBottle Pro45 at Bodybuilding.com - Best Prices on Pro45! 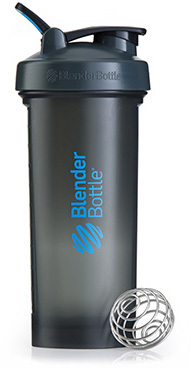 The Biggest Blenderbottle Shaker Yet! 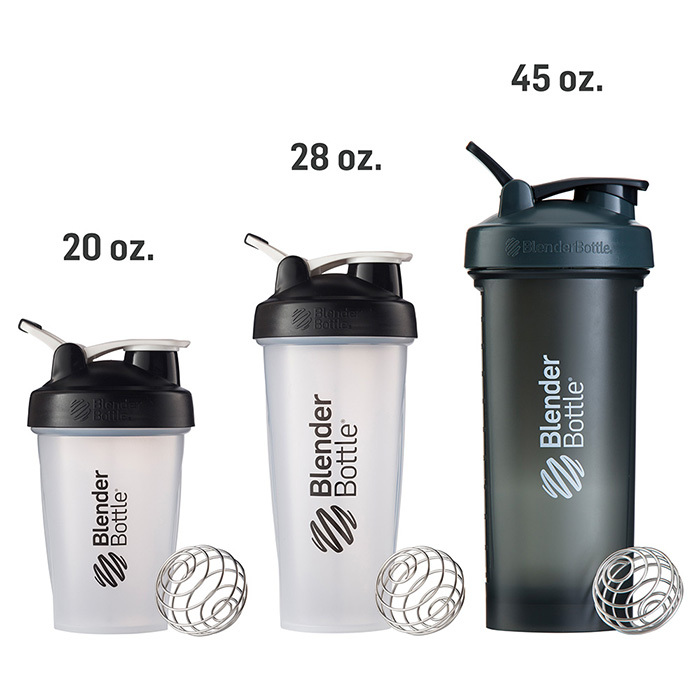 Boasting a heavier, more powerful 12-Gauge BlenderBall®, a rounded base, and a massive 45-ounce capacity, the BlenderBottle Pro45 is built to go big. 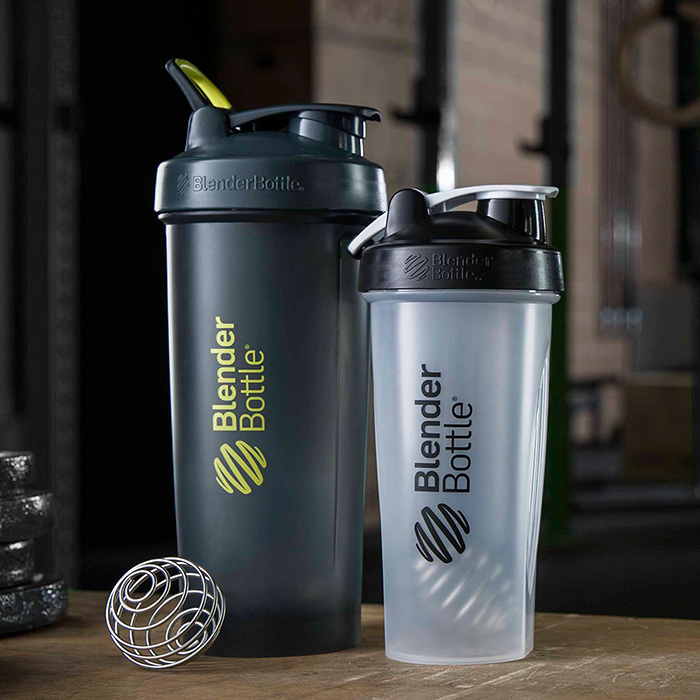 50% heavier than the standard BlenderBall, the new 12-Gauge™ powers through thicker, higher-volume shakes to ensure a smooth, great-tasting drink. Forgot to add liquid first? No sweat. 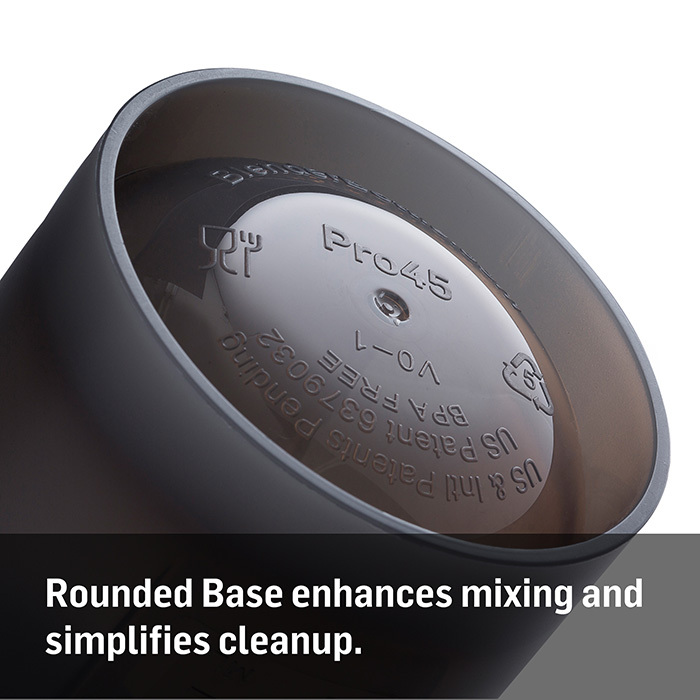 The rounded base on the Pro45 allows the BlenderBall to mix every last bit of powder. 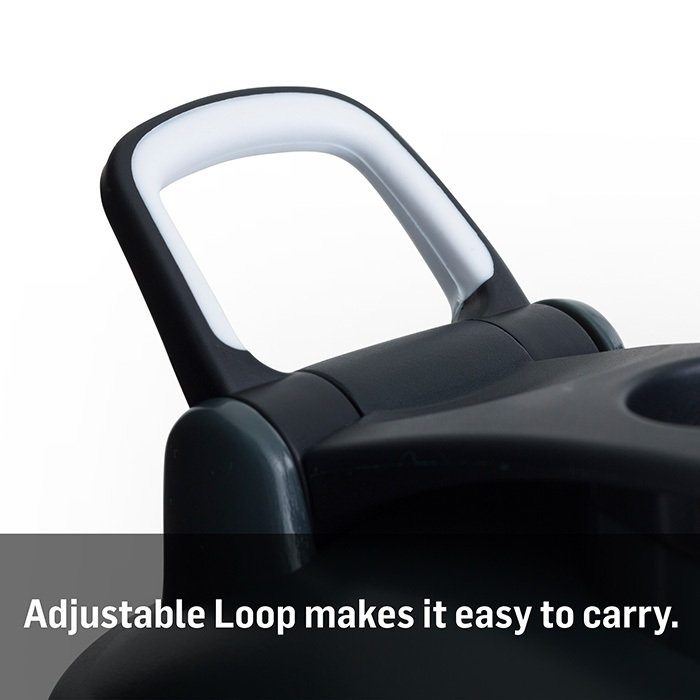 Easily open the flip cap without the risk of touching the drinking spout. Your immune system will thank you. Slide ProStak Expansion Paks (sold separately) inside the Pro45 to carry up to 650ccs of supplements and more on the go. Shaker is big but arrived broken. 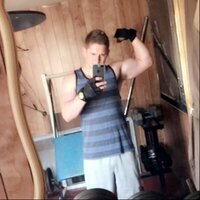 Looking for a blender bottle that can hold an entire 5 lb tub of whey protein, 600 grams of creatine, 4 gallons of milk, 12 cups of oats, a small island, and 4 heaping scoops of organic peanut butter? Look no further!! This blender bottle is absolutely massive, with enough capacity to hold the entire Gulf of Mexico in its finely crafted grasp. When i first received this blender bottle I thought, "Wow, how nice, they know I love the Eiffel Tower! ", but it turns out what I really got was a fully functioning blender bottle that holds enough liquid to quench my dog's thirst for a year. THIS THING IS A BEAST!!! I am 6'2" and this thing is the length of my forearm. I use it with my Mass Gainer (3 HEAPING Scoops (over 500 grams each scoop)and 16.9 oz of Skim Milk alone). It makes 40 oz total, so there's still room for more! 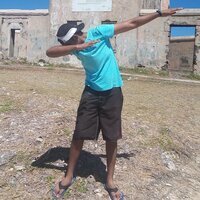 I have dropped this thing! Numerous times! Sometimes from a 4 foot drop. 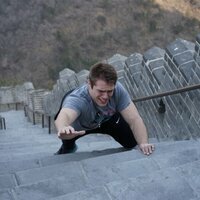 Other times from a 15 foot drop. It has been blown over by Jet Turbine Exhaust, tossed 4 feet from on top of a maintenance box, and then rolled 20 feet, and it simply gets up and dusts itself off (not literally) like it was nothing. After 7 weeks of torture and being dropped, there are no cracks. It doesn't leak, It's easy to clean. It's simply scratched to hell on the bottom and the lip. I am using it now as I write this review. I won't need a replacement for a long time, and when I do, I will simply order another one of these! Yes its really good i have tried both sizes.. Had the Smart Shake before..bought 3 of them..unhappy with that.. this is good..been using for few month no prob..if any prob i will update this review!! Best bottle on the market!!!!! Must get! This blender bottle was the biggest i have ever had. Plenty of room for all your substances. Absolutely love this bottle. To paraphrase the great croc Dundee "that's not a shaker bottle, this is a shaker bottle" Get rid of your measly 28 oz beta shaker bottle, and get this girthy 45 oz alpha male shaker bottle. This bottle is so durable it could with stand a chuck noris round house kick and if you still have any doubts, remember, bigger is better! Mixes everything well. I never used other blenderbottle stuff but the weight on the ball is good enough to mix up a thick shake. rounded bottom definitely helps as I have yet to have any hard protein gunk accumulate anywhere. Took off one point because, after washing, it does keep a small odor from whatever was in it. Nalgene bottles don't so they're vastly superior in this department.... but then again they don't make shaker cups. 1L size makes it easy to use it for pre-workout and just as a water bottle as well. Would be nice if they had other colors. So far this is the best shaker I've owned (been through 6 different ones before). EVERYTHING FROM THE SIZE AND THE BETTER BALL IS COME WITH IS GREAT!!! I use it for all day big scoop of protein and water. Or just throw it in my bag for work with water in it. It is awesome to have!!! This thing is AMAZING! You will love it! It is very solid, great size (may be too tall for smaller refrigerators). 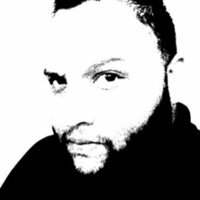 I've only used it for a few days but I am extremely pleased with it and give it my highest recommendation. Very solid and very easy to clean. It says dishwasher safe, but I have not tested this aspect yet. This thing is head and shoulders above every other protein mixer that I have ever used. 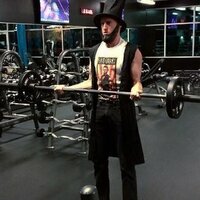 Get it, you will be very happy! **** I love this thing!!! Its so good, my fiance stole mine and I had to buy another... and another and another. 3 of these joints filled to the brim and there's the gallon for the day. I use them for water and such but the ball does mix things well just the same. Highly recommend. And I will be buying more soon. i love my blender bottles, but think this one is my new favorite, i can fill it with ice, and not worry about running out of room, for what ever i pour in it.